I’m throwing a party and everyone is invited! 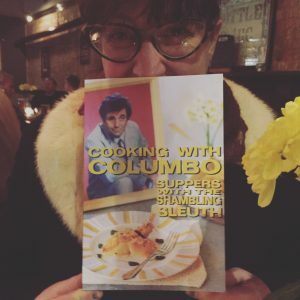 It’s a Virtual Reality Book Launch Columbo Chili Cook-along Party! 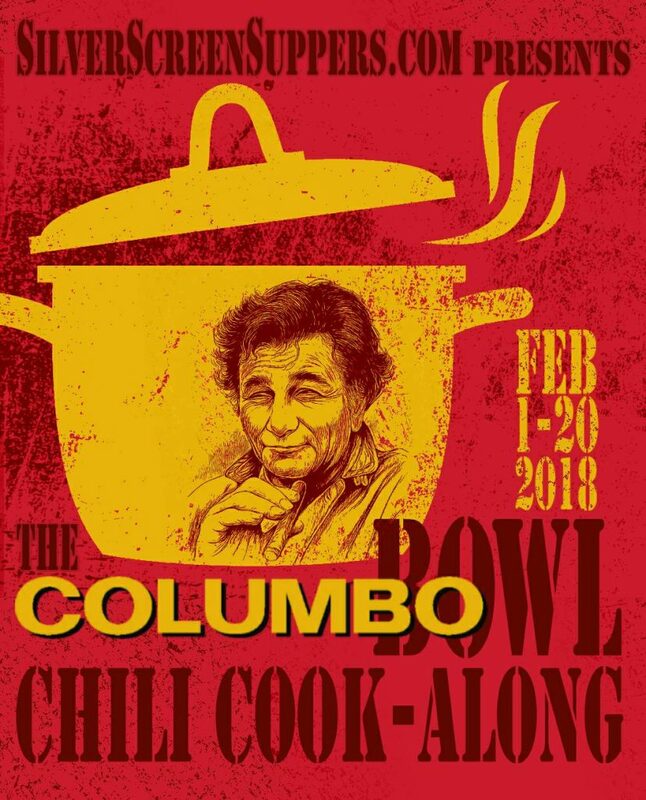 The Columbo Bowl for short… Cook up a chili wherever you are in the world and join in the fun. 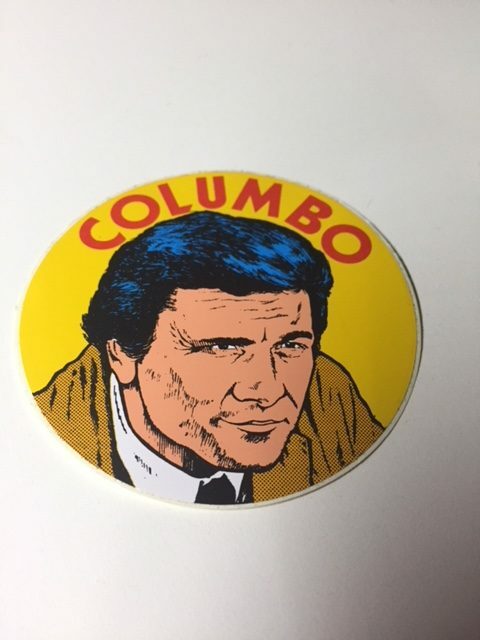 It’s to celebrate the 50th anniversary of the first episode of Columbo being screened on TV – on 20th February 1968 – plus the publication of my book – scheduled for 20th February 2018. Cool eh?! Thanks to photographer and food writer Joan Ransley for the lovely cover pic featuring Peter Falk’s Pumpkin Lasagna and Greg Swenson of Recipes for Rebels for the cover design. Aren’t I lucky to have such talented friends? The first proof copy arrived this week and I was grinning from ear to ear – VERY exciting! 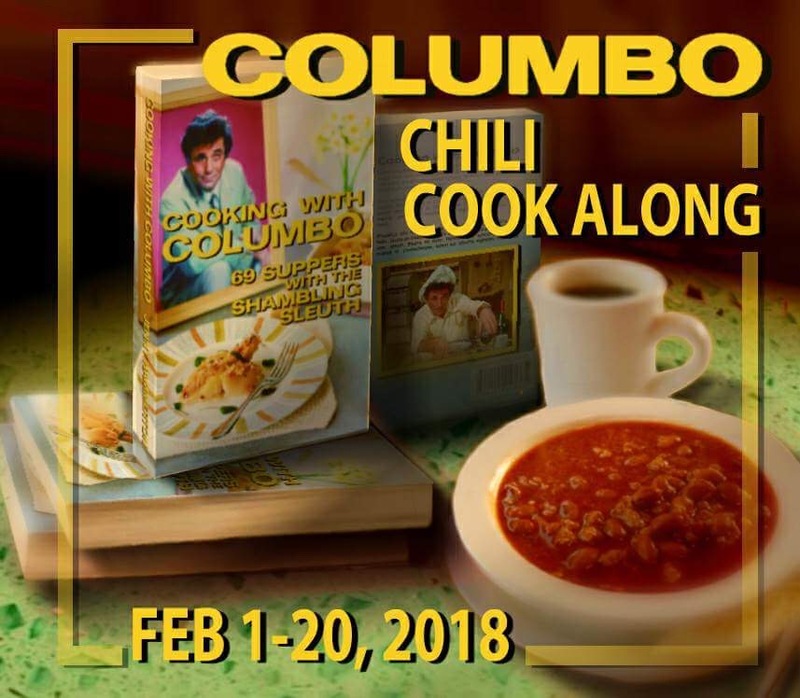 How does the Columbo Bowl Chili Cook-along work? All you need to do is cook up some Johnny Cash chili (meat or veggie version) and either send me photos, or a link to a blog post if you are a blogger. So wherever you are in the world, join us! 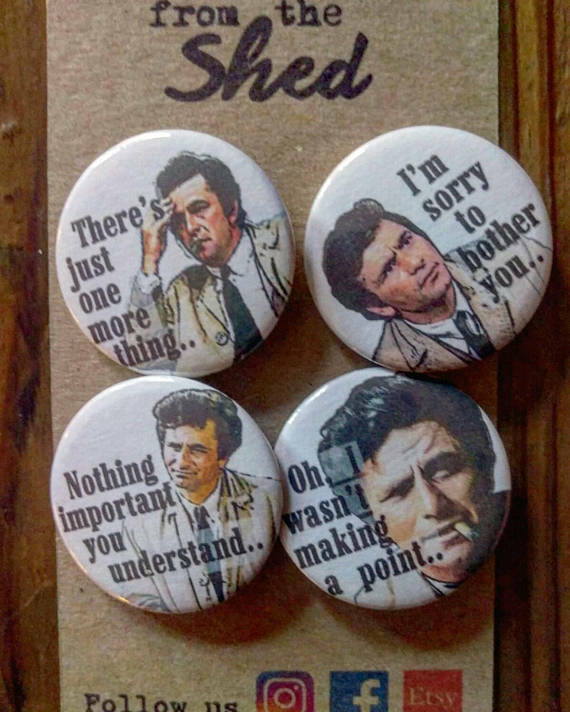 There will be a PRIZE DRAW so the names of everyone who joins in will go into a hat, with a chance to win some fab Columbo goodies. 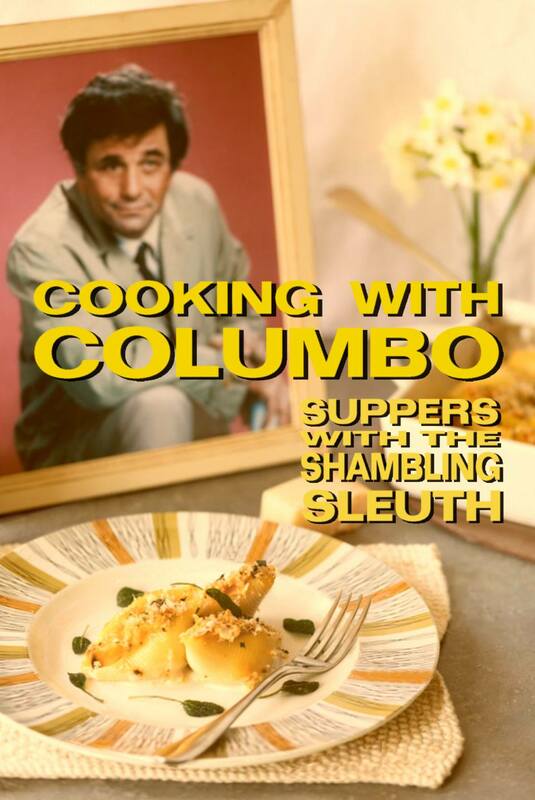 If you are having a Super Bowl party – why not combine it with the Columbo Bowl?! 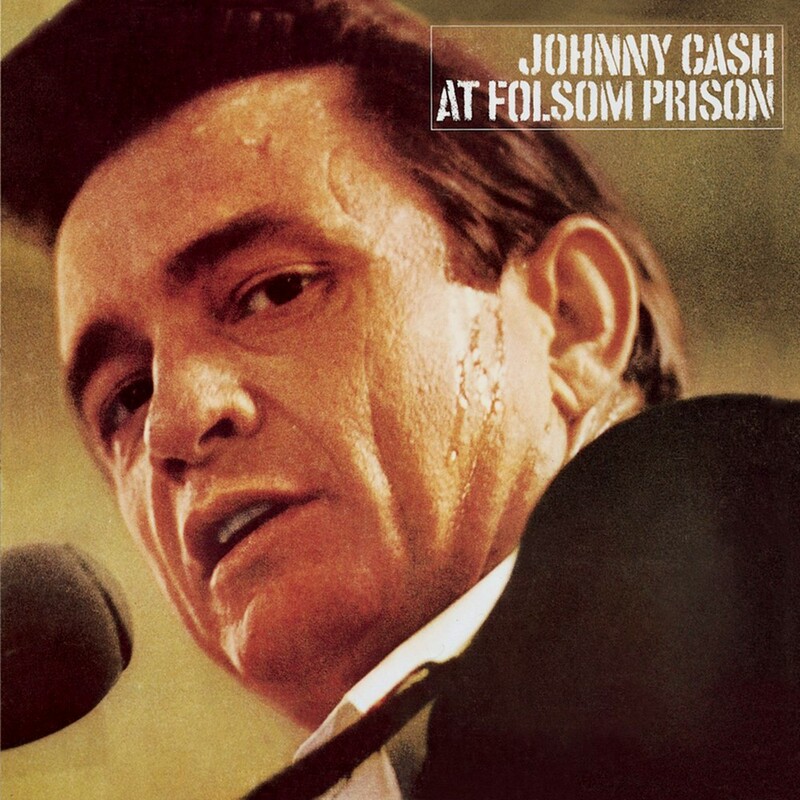 2018 is not only the 50th anniversary of Columbo, it is also 50 years since the classic Johnny Cash album, At Folsom Prison was recorded. 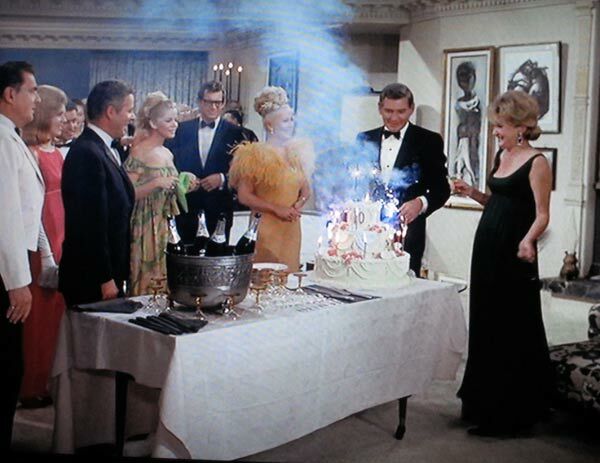 The Columbo fans amongst you will remember well the scene in Swan Song where the Lieutenant has some chili at a party thrown by the Johnny Cash character. 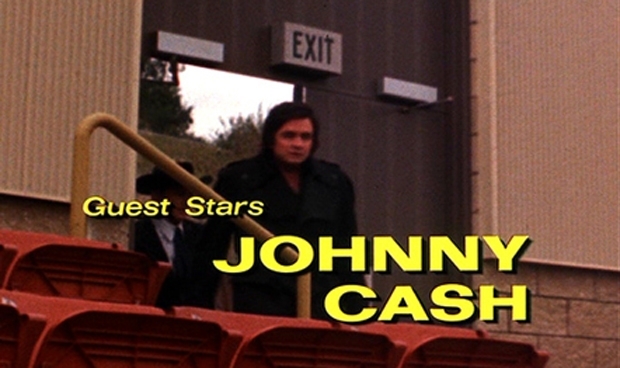 You’ll probably be pleased to hear that Johnny Cash’s recipe doesn’t call for squirrel meat, nor the snake meat that was sometimes included in Johnny’s family chili. Just plain old-fashioned beef, or venison if you are feeling fancy-pants. 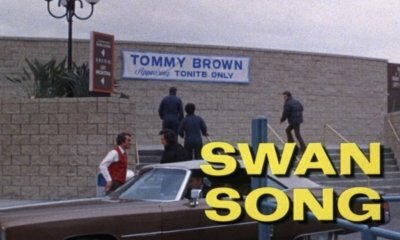 I highly recommend a screening of Swan Song at your Columbo Bowl party. Bloggers – feel free to use this graphic, designed by the wonderful Greg Swenson of Recipes for Rebels – anytime from now to let your readers know about the cook-along. 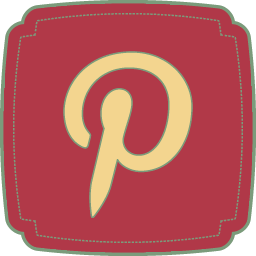 EVERYONE is invited so if you are a blogger, please include a link to this post so that your readers can access the recipes. 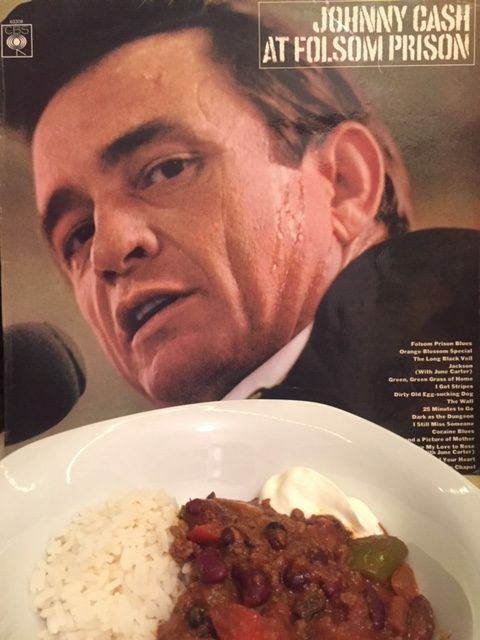 Posts about the Johnny Cash chili itself should go live between 1st and 20th Feb in the run-up to book launch day, but I’m happy for you to mention the book and the cook-along any time from now. Let’s get this party started! 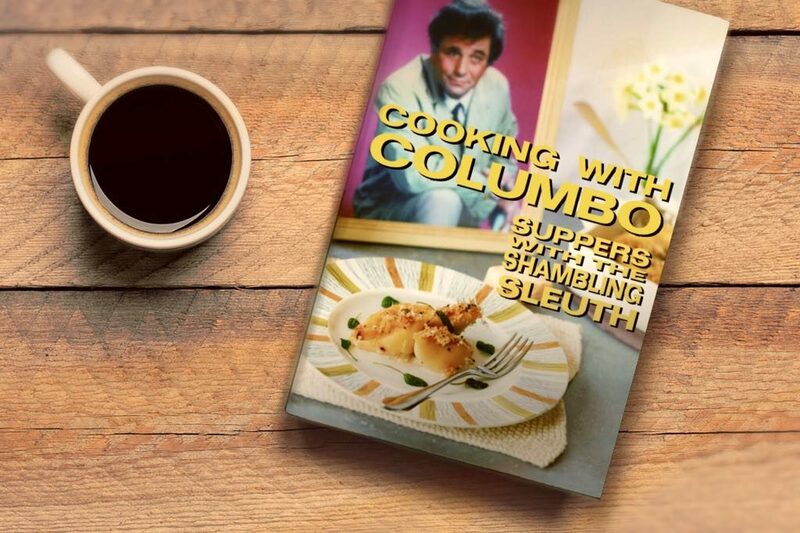 Here’s a link to the Cooking With Columbo webpage which lists recipes that will feature in the book, I’m happy to write guest posts, or be interviewed via email about the book, just get in touch via my contact page. Here’s Johnny’s recipe, followed by a veggie version created by the lovely Helen Coniam of Dinner With Zelda Manners. Don’t be daunted by the length of the recipes, they are really very easy once you have gathered all the ingredients together. There are a lot of ingredients here but don’t let that put you off. Spend 10-15 minutes getting them all ready in advance. After that, it is mainly a case of just adding them to the pan in the correct order. No technical cooking skills are needed. This makes a lot of chili. It will easily serve 4 people. It is lovely in a big bowl with salted crackers, or you may wish to serve it with rice. Some cooling yoghurt or sour cream may also be beneficial. Feel free to adjust the spicing to suit your individual taste (or fortitude). If the veggie burgers are frozen, defrost them first (just enough to be able to chop them into chunks). Then, heat the oil in a pan and begin to cook the onion and peppers. Add the veggie burgers and fry until they are browned. Add the garlic and stir until it has started to turn golden. Pour in the tomatoes and add the veggie mince. Pour over the vegetable stock, mix well and heat to a brisk simmer. Then add the herbs and spices: chili seasoning, salt and pepper to taste, chili powder, cumin, sage, oregano and cayenne pepper (This is apparently, the order according to Johnny.) Taste and adjust spicing if necessary. Add the beans to the mixture and adjust the spicing again. When it is to your liking, pour in the beer and add the sugar. Uncover, add a handful of the cornmeal and stir it in. I am determined to make this as close to the original as I can just see how so many ingredients really do work together. I just can’t see so many peppers and other seasoning’s not cancelling each other out . And this must have been a version he cooked up when the royalties started rolling in as this sure ain’t no po’ boy version he would have grown up with . Would have been squirrel and possum for sure then ! Think I’m also going to need a bigger pot to cook it in that I all ready own . 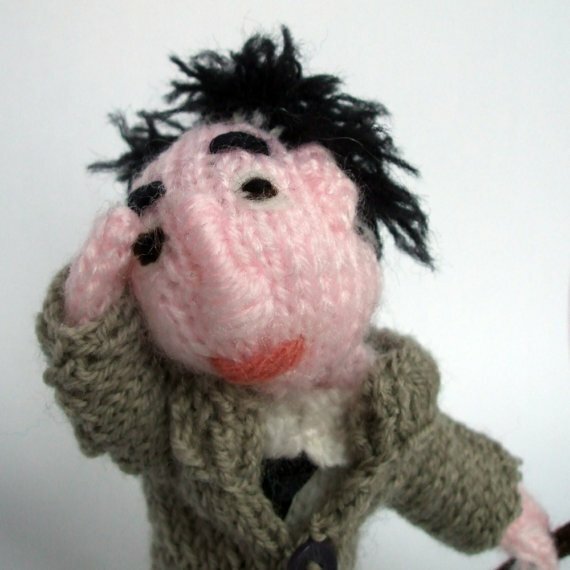 LOVE the finger puppet! Looks like a ball (or should that be bowl?)! I’m in! 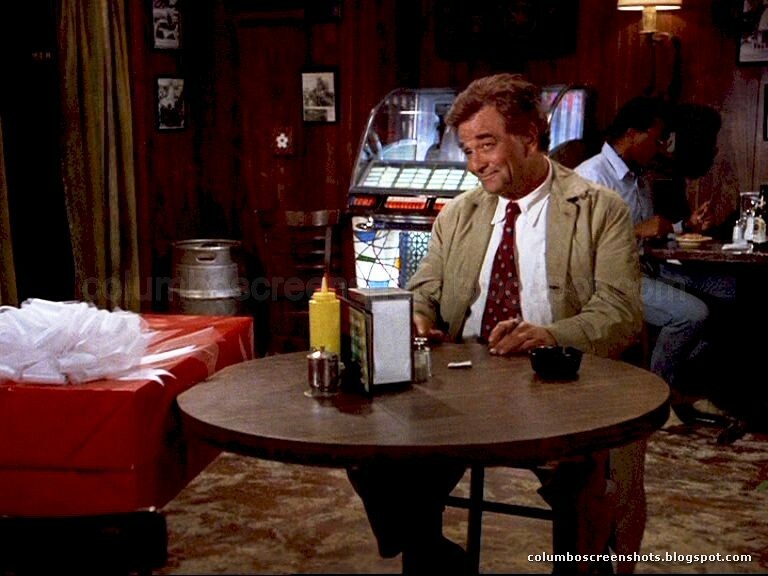 Haha – you are a MASSIVE PART of the Columbo Bowl Greg – hell, you invented it! Whoop whoop!! Jenny, what a fun and clever way to celebrate two icons, but, more importantly, the release of your book. Congratulations and I will be looking out for a copy and cooking some chili. 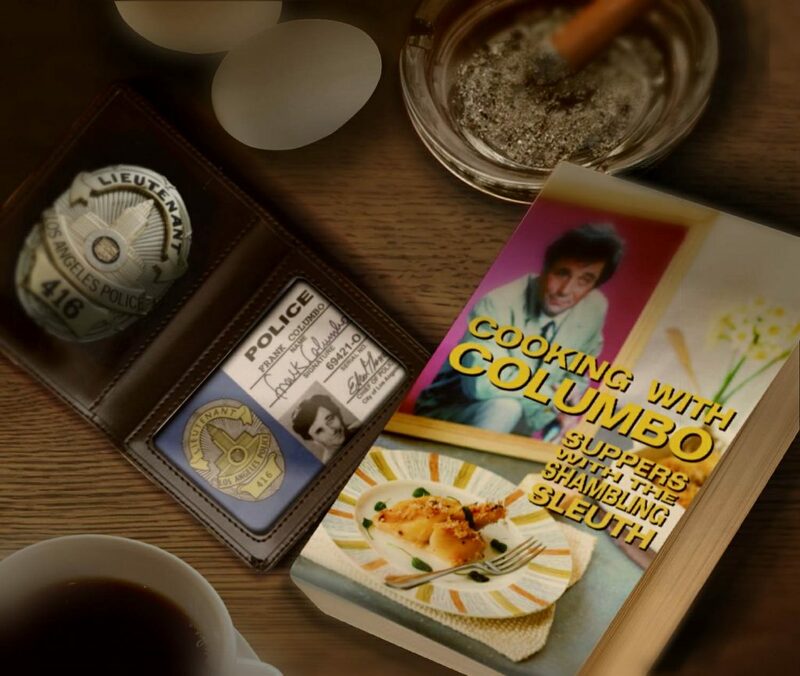 Best wishes from a fellow Columbo author (in progress of publication), Christyne Berzsenyi from Maryland, USA. I made the chilli last night. It is a stonking good recipe – best chilli I have ever made – and not at all difficult, though at a glance (as Jenny points out) it looks like a lot of ingredients. As there are only two of us, I basically halved it. It doesn’t make a huge quantity in any case, nothing to be frightened of. 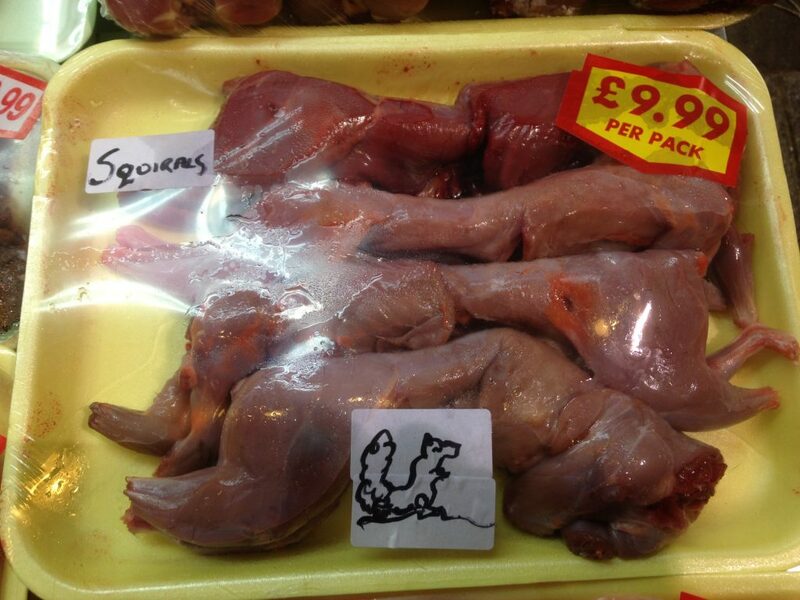 I found venison mince in Waitrose – always wanted to try it – and bought a simple rump steak to cut into bits. Extremely nice meaty texture as a result of this combination. Chillis took a bit of thought. I used 2-3 tbsp of canned chipotle in mole sauce I had in the freezer, plus half a dried habanero (finely chopped – this one is caustic) plus one small fresh chilli and some smoked chilli paste out of a jar – about 1tbsp. We tasted for heat at half time and it was just about right, but I could have added more chipotle or smoked chilli paste at this point if necessary. I skipped the Mild Chili Seasoning Mix because I couldn’t get any. I added about 2tsp chilli powder and cumin, sage and oregano (all dried) as directed. I held back on the cayenne but if you want a blast of heat, I would add it. Because we were halving the recipe, I added one tin of kidney beans and one of black beans (rather than four tins of beans). The black beans add a really nice texture. I didn’t need to add any cornmeal, which I am guessing is to thicken the chilli. It was gorgeously gungy as it was. If you want to be trendy, you can stir in a few squares of dark chocolate at the end. “Gorgeously gungy” there is a fabulous quote right there! Glad you enjoyed the chili Orlando, and I love all your variations. Every chili is different for sure! Loved the pic you sent, I’m going to compile all the feedback I’ve had on the recipe in a MASSIVO blog post once the cook-along ends.